Here’s a list of other blogs or sites from other folks that I think are worth taking a look at! かわいいじゃなきゃダメなの！– A blog dedicated to otome games with plenty of reviews to look at! If you’re interested in importing some otome games to play, but have no idea where to even start, stop by this blog and look up several reviews. The Cherry Blossom’s Image Emporium – A blog that has various high-quality otome game scans along with scans from anime series such as Saiyuki. If you like pretty pictures, this is a must-visit! LEAFさんの夢が。。。 – A blog centering on otome games. Leaf has started writing on mobile otome games, such as War of Prayers, in a lot detail, so check it out! PizzaMaid.moe – A gaming blog that has lots of neat FFXIV posts with plenty of pretty screenshots! 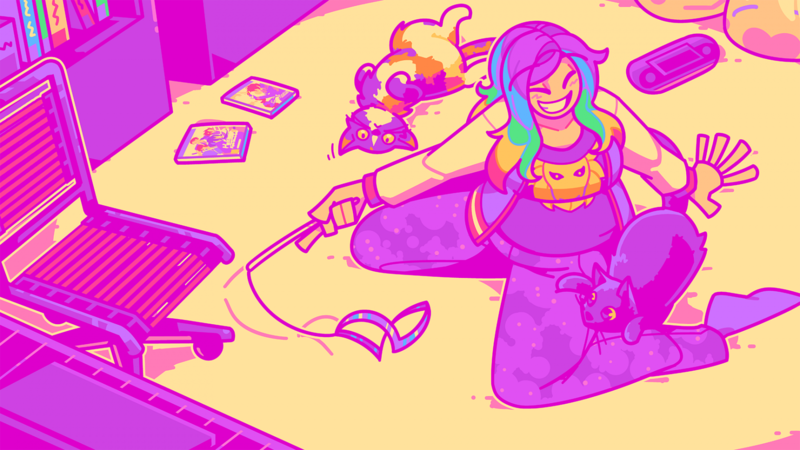 Another Gaming Day – A blog focusing on Cat/Nessa’s hobbies which includes otome games and other various games, anime, along with some tips on how to get started learning Japanese through otome games and much more! Otome Adventures – A blog that offers Theresa’s reviews and thoughts on various otome games. I really dig how she does separate route reviews! Vermillion Dawn – A blog focusing on Amy’s otome game reviews and tips! Visualnoveler – A site that aids visual novel fans in tracking and discovering new visual novel games to play. Useful for people wanting to get into VNs! Visual Novel Reviews – A blog focusing on visual novel reviews! There are some pretty interesting game character reviews as well. Nice Job Breaking It, Hero – An otome game blog that has fantastic weekly posts with detailed information of all the latest otome game news. If you want to stay informed on the latest, consider visiting this blog! If you’d like to be part of my blogroll, please comment or tweet at me so I can add you to this list! I do have the requirement that it must at least have something gaming-related, anime-related, or hobby-related (figures, plushies, etc.) for it to be on this list. Hey hey, I’ve been a long time lurker of your blog and I love your news updates!! I would love to exchange blogroll links with you! I run an otome/visual novel blog called Nice Job Breaking It, Hero (https://bakphoontyphoon.wordpress.com/) and I am always down to chatting with fellow otome games fans!! OMG!!! That’s such a sweet description!! Thank you!! XD I just added you to mine! !